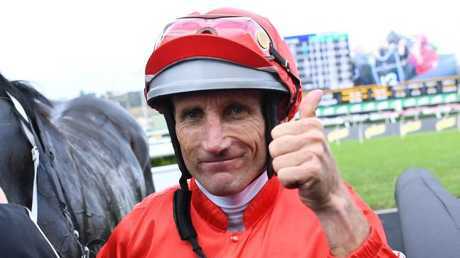 HALL of Fame jockey Damien Oliver could have commanded a full book of mounts at Caulfield but when told Seabrook was racing again at Royal Randwick, he wasn't going to ride anywhere else on Saturday. 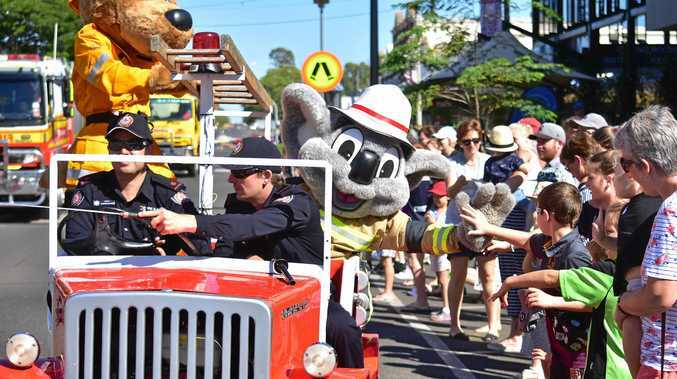 "I've got a lot of time for Seabrook and once I knew she was running in Sydney, I wanted to stick with her,'' Oliver said. Oliver's faith in Seabrook provided him with the 110th Group 1 win of his celebrated career when the filly finished powerfully to win the $500,000 Moet & Chandon Champagne Stakes (1600m). Seabrook eased from $7 out to $9 but after luckless runs in the Golden Slipper and ATC Sires Produce Stakes she got the opportunity to show her best in the final leg of the juvenile triple crown, running down Bondi ($7.50) to win by a half-length. El Dorado Dreaming ($7.50) was held up for a run at a vital stage in the straight before flashing home for third and Outrageous ($6 favourite) also had no luck and should have finished much closer than fifth. Seabrook gave Oliver his second win in the Champagne Stakes, 20 years after he scored on Quick Star. "She has always shown a good turn of foot and today she got the chance to show it,'' Oliver said of Seabrook. "In the Blue Diamond lead-up, she got knocked down and missed the Diamond. She won a Slipper lead-up, then in the Golden Slipper nothing went right for her from a wide gate. 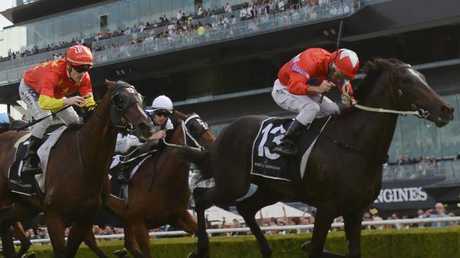 "Last start in the Sires she knuckled at the start and never really travelled after that. "But full credit to Mick (Price) as he could easily have turned her out after the Sires. "Her strapper, Pat Kearney said she was the same weight going into this race as she was before the Golden Slipper, so she has obviously done very well in Sydney and that showed today. I think she's got great things ahead of her as a three-year-old." Kearney, who is tall and lean, standing well over 180cm, rides Seabrook in most of her trackwork and has been with the Price-trained filly for the past two months in Sydney. "She is such a tough filly and this is a very deserving win,'' Kearney said. "These Sydney Group 1 races are huge, the ultimate three for two-year-olds, and we're just happy to pick one up. Mick could have sent her for a spell but in all honesty she just kept progressing throughout her campaign and we just decided to run her. The Peter and Paul Snowden-trained Bondi ran bravely for second, with jockey Mark Zahra left wondering what might have been. 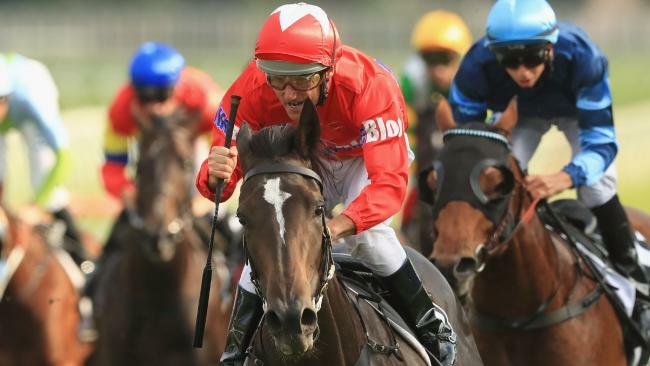 "He has run super but I wish I got out a furlong later,'' Zahra said. "We got out, hit the front and had a bit of a stargaze - but the winner had me covered on the line." El Dorado Dreaming, winner of the Sires two weeks ago, would have made it very interesting with Seabrook if she had got clear running earlier in the straight. "We found a bit of traffic at the top of the straight and that took away a bit of her finish,'' said Jason Collett, rider of El Dorado Dreaming.